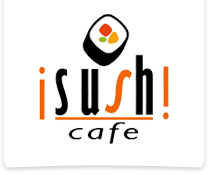 iSushi now offers online ordering and delivery of the same high quality sushi you know from our restaurants. Choose from our menu of mouth-watering expertly made sushi, nigiri and onigiri, or any of our rolls and appetizers. We'll deliver your order at your convenience. Join us for a romantic dinner in our lounge-inspired setting lit by candlelight. Or sit at our sushi bar and watch a master sushi chef prepare your meal right before your eyes. Choose from our expansive sake menu, and pair the perfect sake with each course of your meal. Having a dinner party? Let iSushi make your next gathering something special. 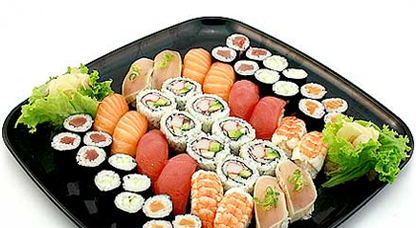 We’ll send a sushi chef to your location and make sushi for you and your guests right on site. Choose from our menu or plan a party with our chef’s suggestions. Sushi is the perfect food for guests and special occasions. Let iSushi take care of it for you. Please provide valid email address. Please enter your email.